Renting an RV and going on a road trip would be your dream come true if you find the right RV. If you are not sure which RV you should choose for your next trip, we are here to help. Below is a list of 10 best RVs to drive for first time RVing. Let’s discuss the three very best from this list. We picked them for their extra comfort and convenience features and practicality. This modern RV by Mercedes-Benz is based on the Sprinter chassis, which brings to the table a C class coach filled with exciting amenities. Inside the 24G RV is an expansive lounge where you have the option of adding a huge dinette or a queen size sofa/sleeper. If you want a more luxurious sleeping option, go for the 24V and you won’t be disappointed by the Flex Bed System that lets you convert a queen bed to two twin beds and vice versa. 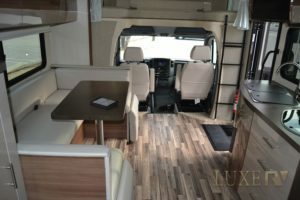 Then comes the largest of the lot the 24J, which has a huge 80” sleeping area along with a bike rack, Primera cab seats, LED ambient lighting, a 9-inch infotainment system and many other amenities which come as standard. The price for the Winnebago starts at $129,239. Another great C-class RV is the Leisure Serenity by Mercedes-Benz. 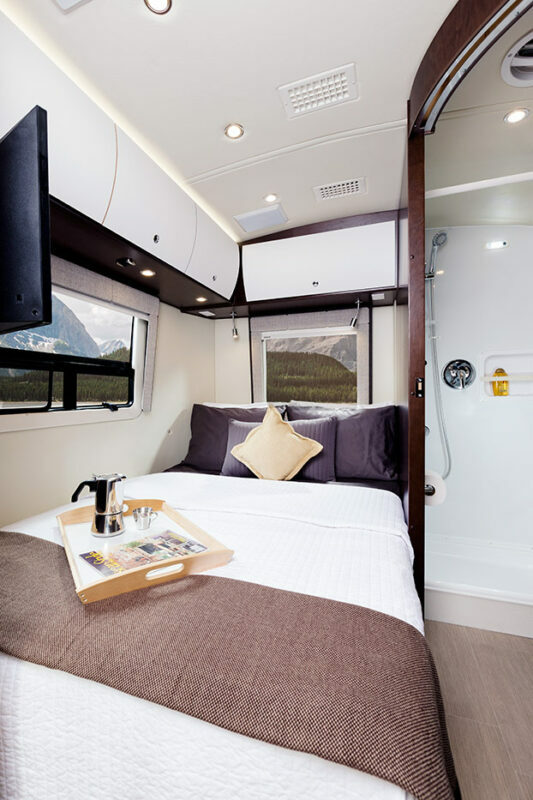 The luxurious and spacious interior is exactly what this RV is made for, and it is a big plus if you take it for your next road trip. Built on the Sprinter chassis, you will find that the RV has ample battery supply thanks to its two 6V batteries, a spacious refrigerator, waterless traps and much more. A comfy and spacious sleeping space, as well as a powerful engine, complete the package. The Leisure series by Mercedes-Benz is a premium RV line and the Unity is no exception. The RV is a C-class van which can be termed as a home on wheels, and that is exactly why it is perfect for family outings and trips. The Unity is much larger than the Serenity. You get access to a king-sized bed, a much larger bathroom, and a decent TV to enjoy your favorite flicks, among all the important features. However, you miss out on a larger eating table and a couch for mid-day naps. At Luxe RV you will only find the most luxurious and prestigious RVs and Motorhomes. We take pride in renting the most luxurious RV brands in the world. 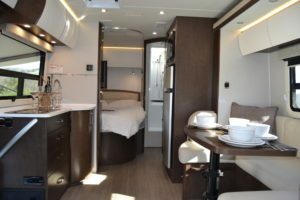 Rent a Leisure Serenity or a Mercedes Winnebago today and change the way you go camping. We offer options for delivery and pick up anywhere in the city you rented with each RV Rental from Luxe RV!